The primary concern of this project is the research on historical sources preserved in public archives and libraries, natural history museums, universities, and private collections. Manuscripts, printed/iconographic documents, and museological objects will provide data to the analysis of Huber’s work and the reconstruction of the scientific and social environment where he worked. The Gemeinde of Schleitheim keeps a well organized collection of documents. 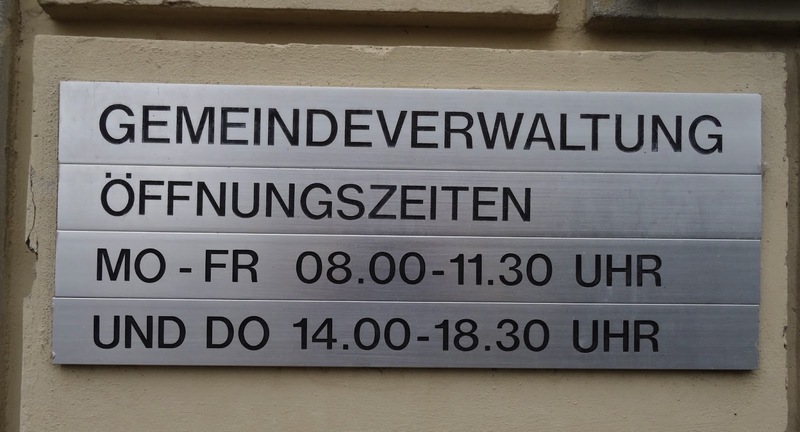 The Archives are installed in the building of the Gemeindeverwaltung. 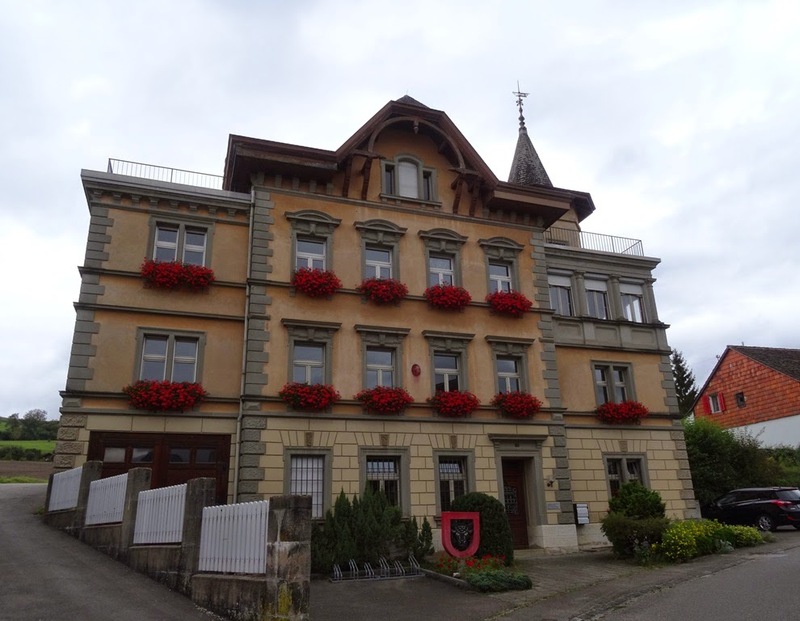 There are documents related to the families who lived or still live in this village since the 18th Century. Contacts must be made in advance. 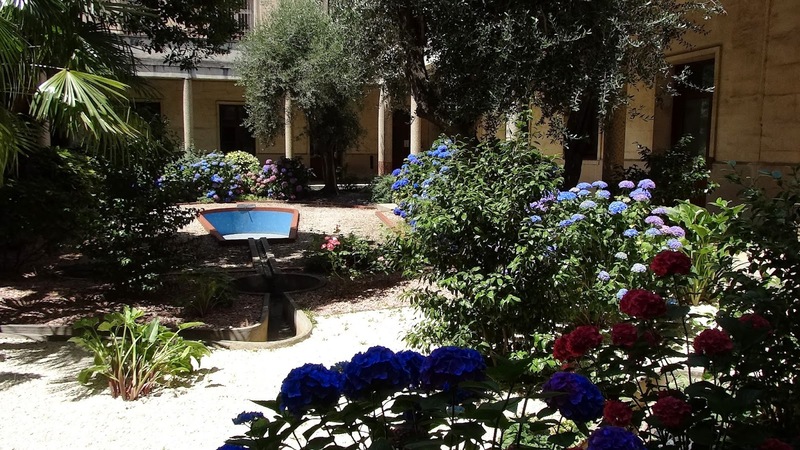 The Institute of Botany was founded in 1890 by Charles Flahault (1852-1935) close to the ancient Jardin des Plantes de Montpellier. 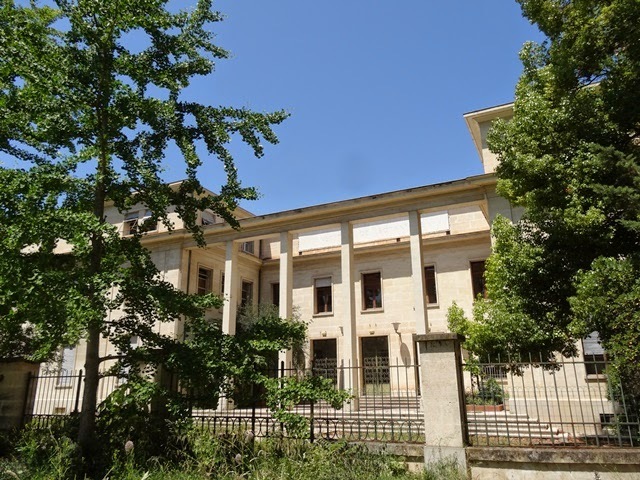 Nowadays it is linked to the University of Montpellier 2. 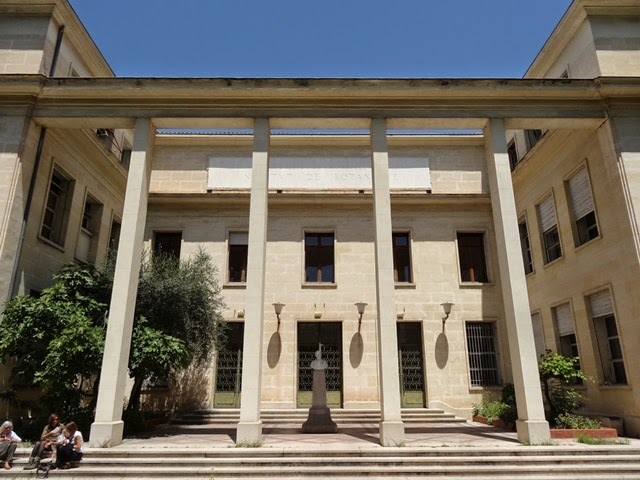 The Institute houses an Herbarium (Herbier MPU) and its historical archives, including a large set of documents related to Flahault's professional activities. There is no website or catalog of this archive. 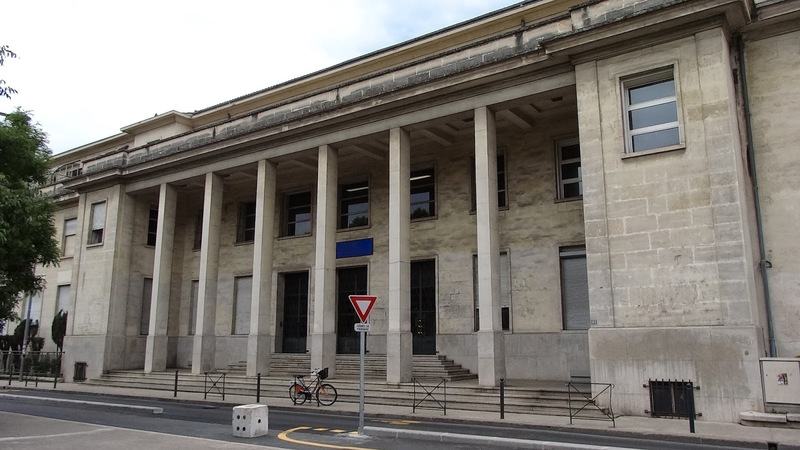 The current building of the Institute of Botany, University of Montpellier 2. Winter garden in the Institute of Botany. Façade of the Institute facing the Jardin des Plantes with a bust of Charles Flahault. 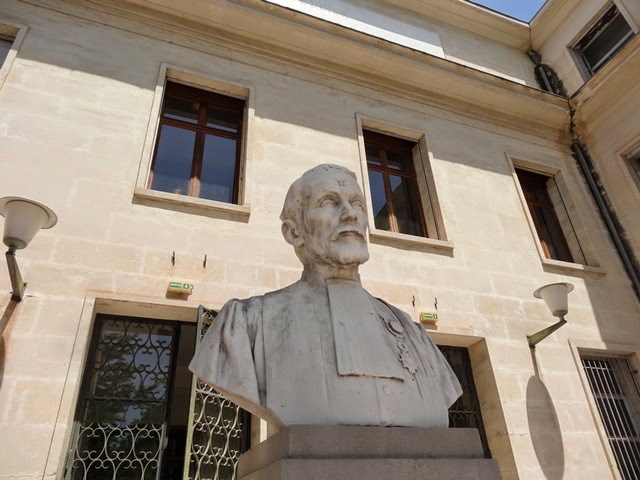 Bust of Charles Flahault, founder of the Institute. 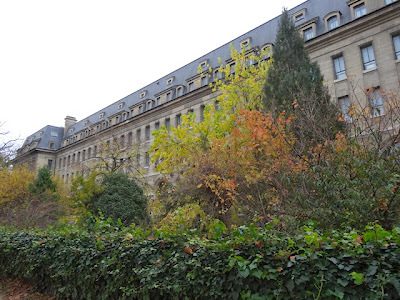 The Institute viewed from the Jardin des Plantes. The Archives were founded in 1986. 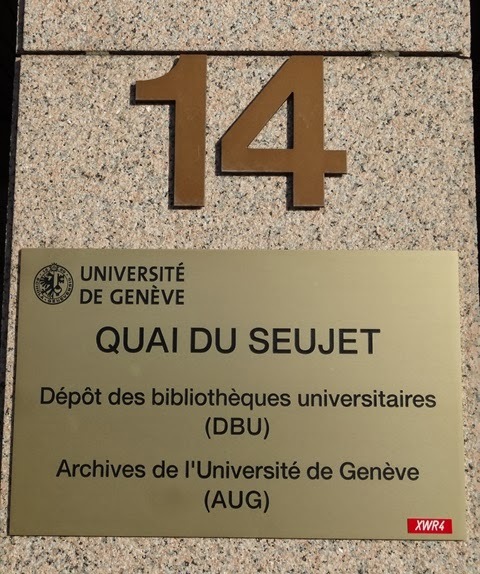 It preserves documents related to the history of the University of Geneva since 1873, especially administrative papers (academic bodies, rectorate, administration, faculties, schools, research centers, institutes), but also documents of teachers and other scientific/educational institutions. The papers of Robert Chodat (1865-1934) are very rich. Chodat was a prominent Botanist, Professor, Head of the Laboratory of Systematic Botany, Secretary of the Faculty of Sciences and Dean (1908-1910). 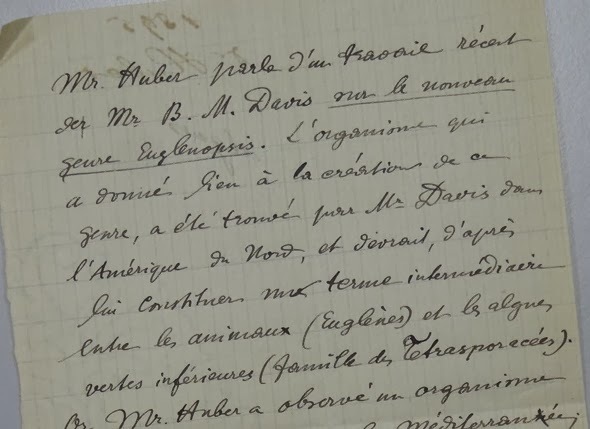 Among his collection we found reports on the participation of Jacques Huber in the meetings of the Société Botanique de Genève and letters. 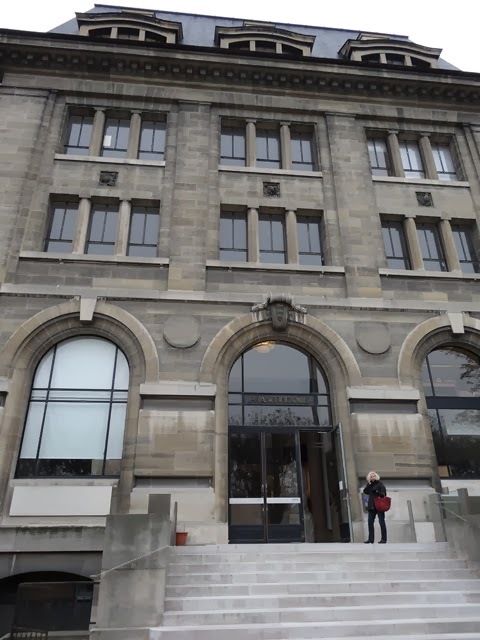 The catalogue is online at the Réseau des Bibliothèques Genevoises. 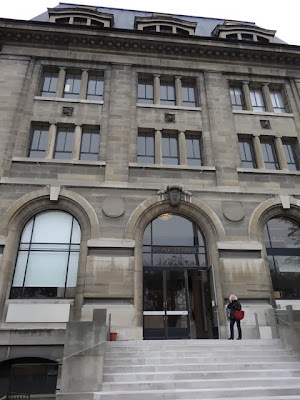 The Library was founded in 1824 and preserves around 100,000 volumes, including the collections of Emile Burnat, de Candolle Family, Boissier Family, Société Botanique de Genève, and Société Genevoise d'Horticulture. It is specialized in global floristic, plant taxonomy, travels and explorations, applied botany, and other branches of plant sciences. 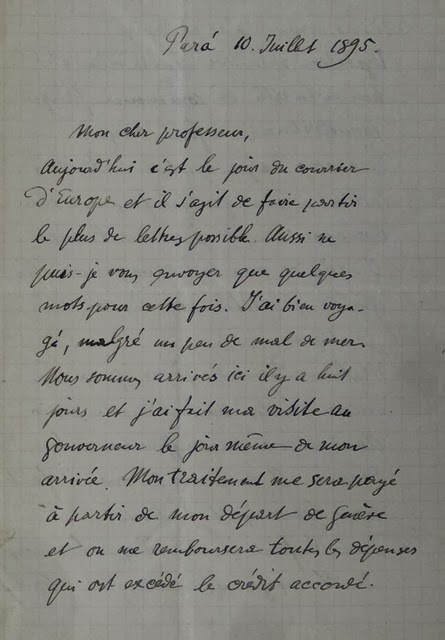 The Library and the Archives preserve many works and manuscripts of Jacques Huber, like the correspondance with Casimir de Candolle, Gustave Beauverd, John Briquet and Eugène Autran. The Library is under renovation since the end of 2013, but can serve the public, provided that the contact is made in advance by email. For instructions, please click here. The Library preserves more than 300,000 volumes on Earth Sciences, Life Sciences and Ecology, besides journals, manuscripts, photos, maps etc. 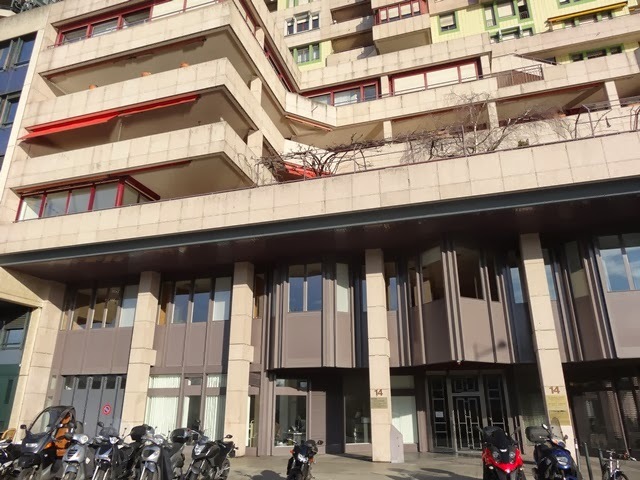 It works as a Center for Acquisition and Dissemination of Scientific and Technical Information (Centre d'acquisition et de diffusion de l'information scientifique et technique - CADIST) working together with specialized libraries located in the science departments. Some manuscripts of Jacques Huber can be found in the institutional and private collections. To know more about this Library, click here (only in French). The book catalog is online here and the manuscript catalog is here. 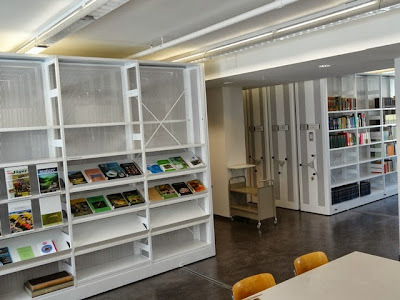 Recently renewed, this Library is located in the Département de Systématique et Evolution, inside the Jardin des Plantes. It preserves documents related to cryptogamy, phanerogamy, plant biology and ecology, methodology, scientific exploration and voyages etc. - including rare works of Jacques Huber. 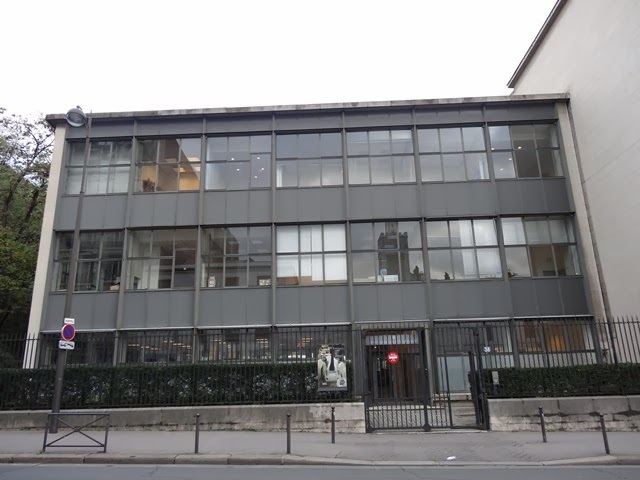 To know more about this Library, click here (only in French). The book catalog is online here and the manuscript catalog is here. 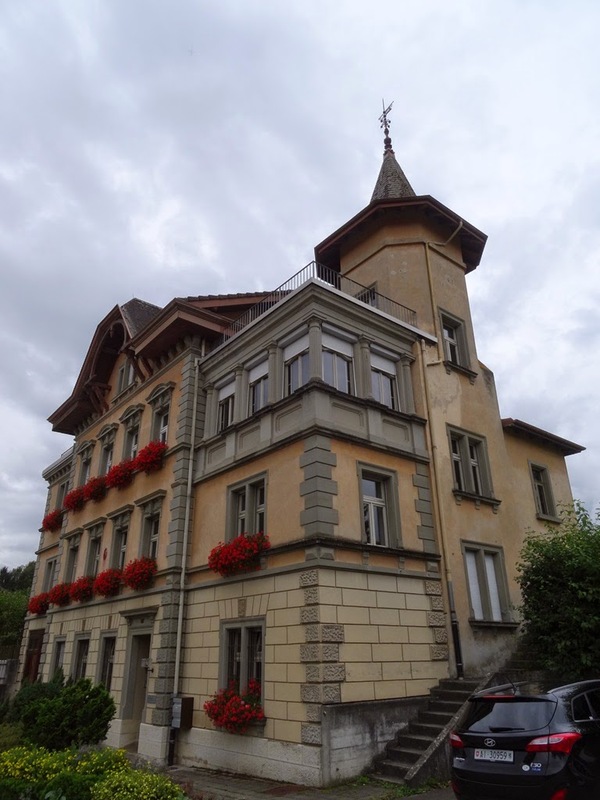 The Basel Archives preserves an important part of Jacques Huber Papers, including family letters and photographs. The material was deposited by the Huber Family in 1997. Full catalog online at Online Archivkatalog (English). 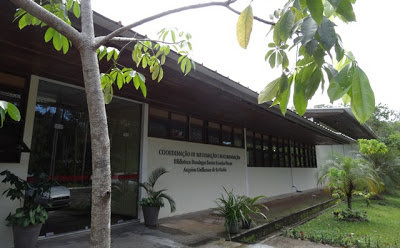 This library was founded in 1962. 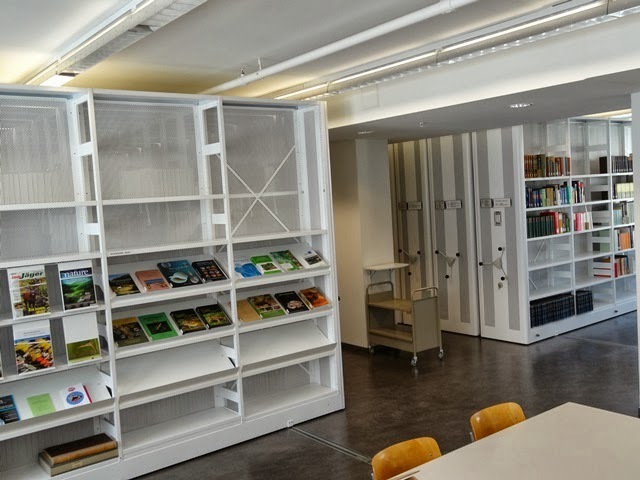 The collection includes approximately 23,000 books and 500 journals in the fields of geology, mineralogy, paleontology, zoology, and kynology. It also preserves archival collections such as the Emil August Göldi Papers, which includes manuscripts, works, maps, and pictures related to his life and career. 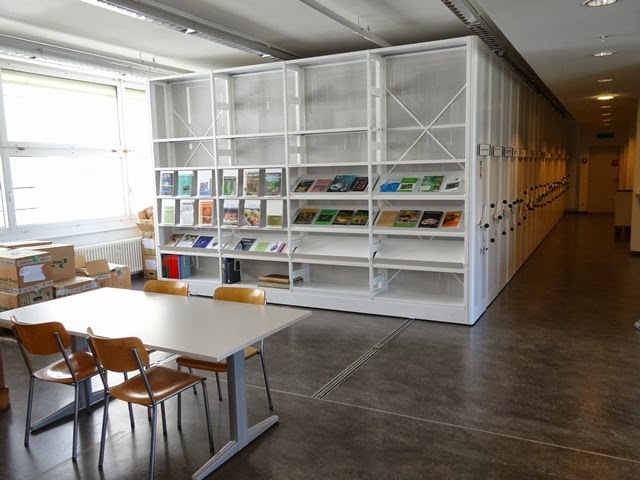 Full catalog online at IDS Basel Bern (English). The Library was founded in 1894 and was recently renewed (2011-2013). It preserves many works published by Jacques Huber. The research started in this collection. 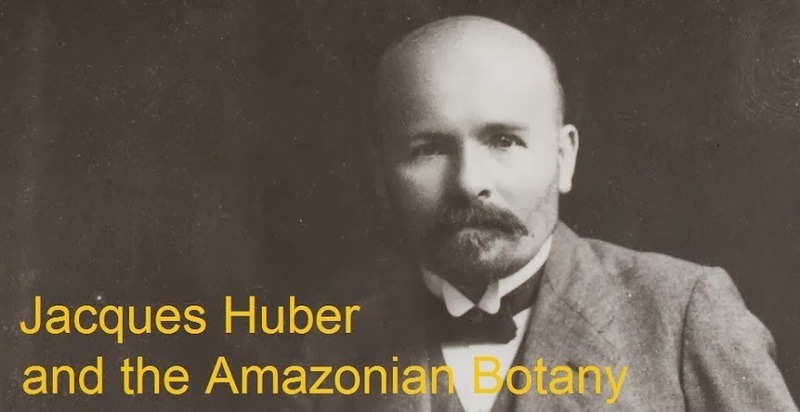 Founded in 1989, the Archives preserves documents dated since 1890, including institutional and private collections (specially produced by scientists who worked at Amazon).